LaStampa: The official recognition of the 70th miracle that took place in Lourdes was announced today, Sunday 11 February 2018, by the Bishop of Beauvais, Monsignor Jacques Benoit-Gonin. The miracle involves the healing of a nun, Sister Bernadette Moriau, who had been suffering from severe paralysis for many years. The clergywoman, who is now 70 years old, had been suffering since the late 1960s from the "Cauda equina syndrome”, caused by a spill of the softer central portion of the disc that causes pressure on the bundle of nerves below the end of the spinal cord. Since 1987 she was unable to walk. 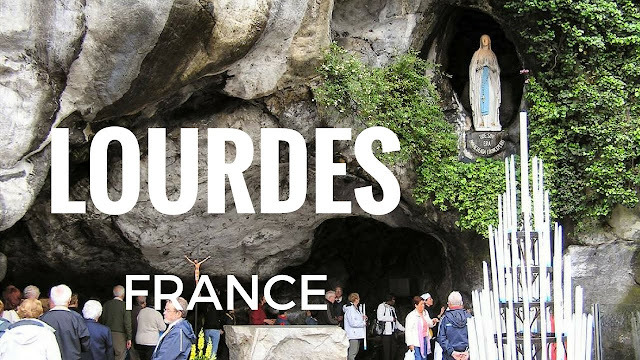 The miracle took place on 11 July 2008, but announced only ten years later, on the day of the feast of Our Lady of Lourdes (11 February), on the 160th anniversary of the apparitions of the Virgin Mary to the visionary Bernadette Soubirous. Sister Moriau is a religious of the Oblate Franciscans of the Sacred Heart of Jesus. This is her story from a video broadcast by the diocese of Beauvais. “In February 2008 my doctor invited me to the diocesan pilgrimage to Lourdes scheduled for July 3-7,2008... I had never been there since I became ill... In the cave I felt the mysterious presence of Mary and of little Bernadette.... In no case have I ever asked for healing. I had asked for the conversion of my heart and the strength to continue my path as a sick person”. On her return to her community in Besles, near Beauvais, the healing took place. “On July 11th, during our time of adoration in communion with Lourdes, I relived in my heart the strong moment of the blessing of the sick with the Blessed Sacrament and I really felt the presence of Jesus... At the end of the adoration, I felt a feeling of warmth in my body... I felt good". The religious’ doctor took note of the healing, which was subsequently presented to the Bureau Médical Internationalde Lourdes. The case was examined at the annual meeting of the Medical Committee on 18 and 19 November 2016: the verdict was approved by all but one doctor, who concluded that Sister Moriau's recovery "remains unexplained in the current state of our scientific knowledge".